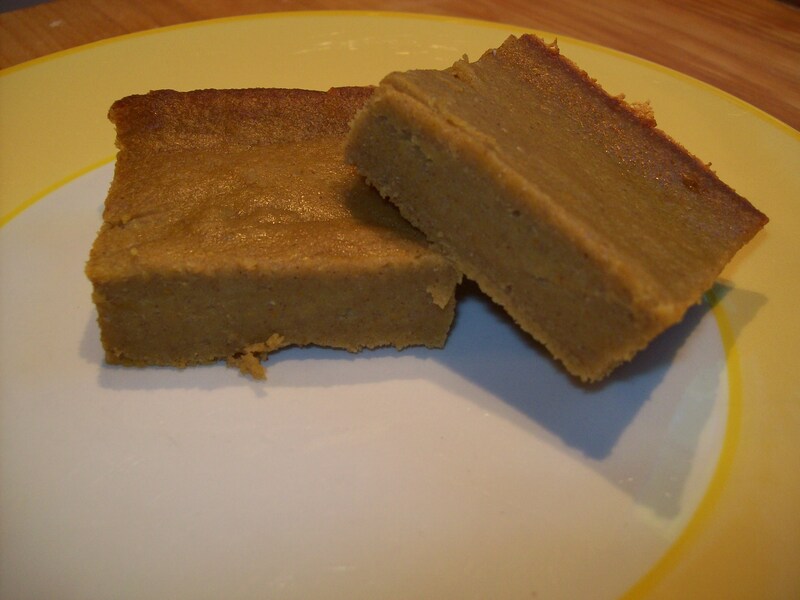 These bars end up slightly custardy, almost like a cross between a traditional blondie and a pumpkin pie filling. They’re lightly sweet and a perfect fall lunchbox treat. Preheat oven to 375 degrees. Lightly grease a 9×13 baking dish and set aside. In a large bowl, beat together the pumpkin and eggs until thoroughly combined. Pour in the melted butter, maple syrup, and vanilla extract and beat until smooth and creamy. In a smaller bowl, whisk together the flour, cinnamon, and salt. Gradually add the flour mixture to the pumpkin mixture, stirring just until the ingredients are moistened. Pour the batter into the prepared pan and smooth the top. Bake at 375 degrees for 30-35 minutes, just until set and a toothpick comes out clean. When cooled, cut into bars. Did you mean 1 Tablespoon or 1 Teaspoon Pure Vanilla Extract? Just wanted to be sure. These sound Awesome! I plan to bring them to my next potluck which is Halloween themed. One tablespoon!� I know it seems like a lot, but there’s very little in the way of “flavor” enhancers in here.� The maple, the vanilla, and the little hint of cinnamon are what give them the oomph.